How Do You Get Your Home Organized? 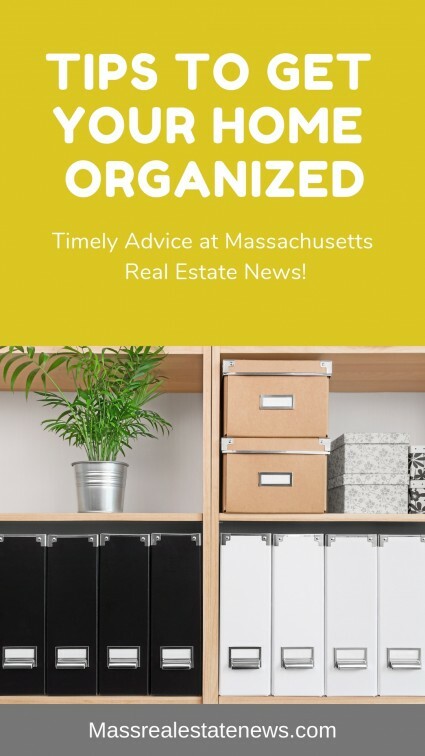 Do you want to get your home organized? Lots of people struggle to get their homes put in some semblance of order. Even if you have a big house that provides each member of your family enough living and storage space, you still need to figure out a way to save as much of this space as possible. 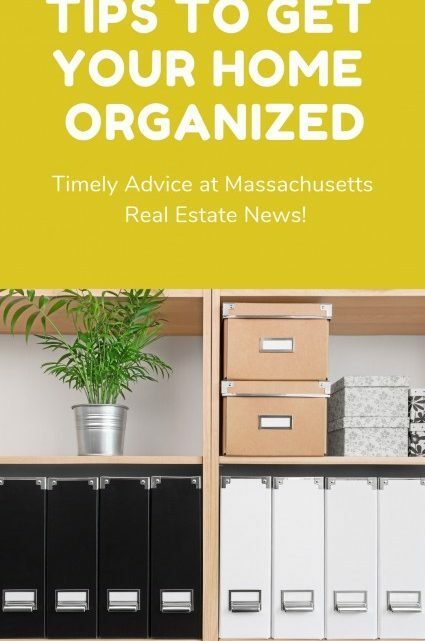 What you need to do is look into various home-organizing ideas that will help you keep every corner of your home organized and tidy, regardless of the number of things you actually possess. So, if you too want to keep your living space clutter-free and in order, here are some of the best ways to do so. This is one of the most significant problems people have to deal with nowadays: they just own too many clothes and don’t know what to do with it. So, they just leave it wherever they can – on the floor, over the chair, etc. – and create a mess in their home. The only solution is to organize your clothes as soon as you take it off: dirty items go in the hamper, and the clean ones should be put in the closet. In addition to that, remember to declutter your clothes from time to time and thus remove all the items you don’t actually use from your life. If you’re a fan of reading, you surely have a ton of books in every corner of your home, just waiting for you to pick them up and enjoy them. However, even though this is a great habit and something we should all do more, scattering books all over the place is neither functional nor visually attractive. That’s why you need to organize them, and the best way to do that is by designing one of those wall-to-wall and floor-to-ceiling bookcases that will surely fit all your favorite books, no matter how many you own. Even if you’re not a fan of cooking, you probably understand why having an organized kitchen is so important. This is where we spend a considerable amount of our time, and it needs to be practical, enjoyable and functional. An idea you should definitely explore is getting a powerful Dacor renaissance single wall oven that will save you a ton of space and give you the ability to organize your kitchen more efficiently. Also, consider investing in a kitchen island that will provide you with a ton of storage space and prevent any potential countertop clutter. Once you organize the things around your kitchen, it’s time to take care of the pantry. The problem is that most people just keep piling stuff in it, without even paying attention to it until it’s too late and they’re stuck with lots of things they don’t really need. Sauces, snacks, cans, and jars don’t require that much space, but if you put dozens of them in a tiny area, you could end up causing a significant problem. What you need to do is get some new storage containers, label everything clearly, group similar items together, and then try to keep up with this setup in the future as well. This is another common kitchen organizing issue that requires your full attention. Most people consider their dishwasher to be their best friend because it’s so practical and helpful, and it makes their lives so much easier. However, you need to be careful when organizing it and only properly maintained dishwasher is going to be able to perform its magic daily and clean all your dishes adequately. So, learn a thing or two about it first, give it some love, treat it well, and you’ll be surprised what your dishwasher can do for you – it’s not just about saving your time, but also about keeping you a considerable amount of money in the long run. Large families have always had problems with shoes and storing them might be one of the issues you’re facing at the moment too. Luckily, there’s a simple solution that’s guaranteed to work every time: design your own personalized shoe cabinet that’s big enough for all your shoes. You can position it in various places – from the entryway to the balcony, and everywhere in between – and make the most of the space you have. If you don’t manage to find a spot for all your shoes, consider throwing some of them away, especially if you’re not wearing them anymore. Even if you’re the most organized person in the world, this is something that can get the best of you. Various bills and mail sometimes arrive at your home daily, and unless you take care of all these things on time, you’ll end up with a pile of junk you don’t really need. Organizing your bills and mail is easier than you think, and it’s all about making a plan: designate a spot where you’ll keep these things, create a filing system, decide what you do and don’t need, and try to pay your bills as soon as they arrive. No matter how often you clean your home and how much attention you pay to your possessions, you’re probably still overflown with clutter. And if you don’t get proactive and start solving this issue as soon as possible, you won’t be able to do anything, and your home will get full of clutter before you know it. So, decluttering your living space from time to time is essential – just remove everything you don’t need, sell it, donate it or throw it away, and keep only the items you really need. This way, your home will look tidier and more beautiful than ever, and you’ll have no problems organizing your storage space from now on. Keeping every corner of your home organized and tidy is the best way to introduce some order into your life and keep everything under control. So, come up with a system that works for you and stay committed to it every day of the week. Why your home hasn’t sold – see some of the most probable causes that your home has not sold. You’ll see five reasons why the for sale sign is still on the lawn at Realty Biz News via Sharon Paxson. Do I really need to get a home inspection – Petra Norris explains why a home inspection is so vital to the home buying process. How to be a skilled home buyer – see tips and advice from John Cunningham on how to navigate the waters of purchasing a home, especially when you are going it for the first time. Tips for a quick spring home sale – see some great advice from Paul Sian on how to get your home under contract quickly this Spring. What you should never say when selling your home – sometimes it is best to keep your mouth shut when selling your house. Xavier De Buck shares tips for selling your home. The preceding home buying and selling resources come from top real estate agent all around the country. Use the advice wisely. Next post What Does The Housing Forecast For 2019 Look Like?